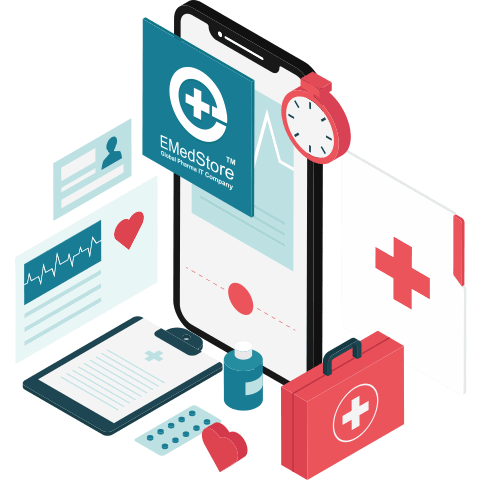 EMedStore a global pharma technology leader, providing robust IT business solutions for pharma industries and pharmacy professionals by online pharmacy development services at affordable cost. 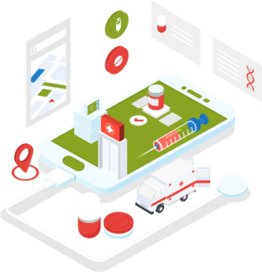 "Build an on-demand online pharmacy app to provide convenient and affordable access to prescription drugs, OTC medicines, healthcare products and more online." With EMedStore, you get your own online pharmacy app without any hassle. We can develop a perfect online pharmacy app for you to streamline all your sales and it will also help you keep your records up-to-date. As a pharmacy, your aim must be to reach out to the maximum number of people possible. But if you try to do it by opening physical shops in various locations, you will have to invest a lot of money. On the contrary, if you have an online medicines App, you can reach out to people around the world without investing too much in it. Moreover, a medical shop app makes it easy for people to look for the medicines that they want and place an order. With the help of such an online pharmacy development, you can expand your business, get more customers and also help them easily order for their regular stock of medicines. Are you still wondering if an Online Pharmacy Development is the right next step for you? Hence, there are only advantages and not a single disadvantage of taking your business online. Your one online pharmacy app is likely to get you more business than several physical medical shops. With the changing times and rapid internet usage, you need to move ahead of your competitors. Having an online pharmacy app is the first step! The total number of buyers who prefer to shop online will cross the one billion mark in 2019. This number will be doubled by the year 2025. Moreover, with the easy access to the internet with the help of smartphones, more people prefer to buy everything on their Mobile Apps rather than going to the physical shops. In this busy and competitive world, everyone wants to save time. If people have the option to buy medicines online during their commutes or even while taking a short break from work, it would be perfect for them. So, a user-friendly pharmacy app can be mutually beneficial for both you and your customers. Not convinced yet? Call us for a free demo, and we assure you that you won't be able to resist this amazing online pharmacy app!